Linux distributions are well known for its great compatibility with old hardware/computers. There are lot of Linux distributions available, which is designed to be very efficient at resource consuming, and any of them might be suitable for your old computer. These Linux distribution have some commonly used applications (such as light weight word processor, text editor, email programs, media players to play your music files) installed by default. Therefore, in this post, I’ll introduce you with a great Linux distribution for your old hardware. 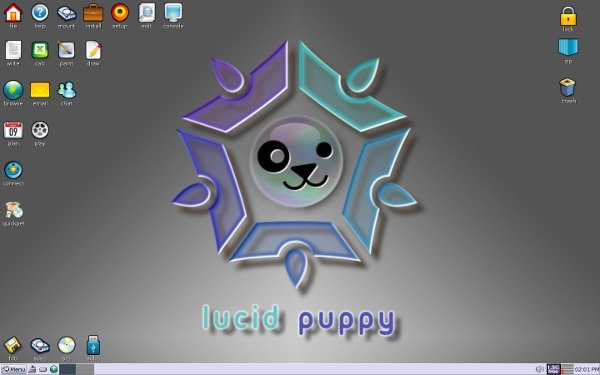 Puppy Linux is one of the most popular light weight Linux distro, known for its speed, efficiency and ease of use. Puppy Linux is well suitable for old hardware. Its size is very small – so it can be booted from RAM (then you can remove the boot media if you want) i.e you can use your computer even its hard disk is not working (also used as rescue disk). Some common media which can be used for Puppy Linux are – Live USB, Live CD/DVD, Hard drive, SD etc. So you can easily carry your Puppy Linux along with your data in pen drive. It is fun! Previous PostBest Applications and Tweaks for Ubuntu 11.10Next PostOpenBSD 5.0 is released!